Director James Gray and Joaquin Phoenix in person for Q&A on October 6! 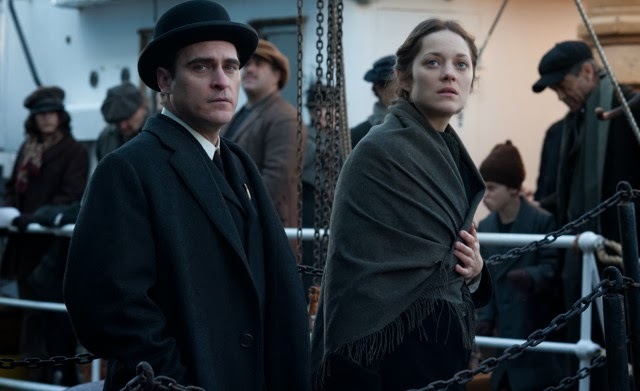 Young Polish immigrant Ewa (Marion Cotillard, in a thrilling performance), after being separated from her sister at Ellis Island, finds herself caught in a dangerous battle of wills with a shady burlesque manager (Joaquin Phoenix) in James Gray’s richly detailed period tragedy. Working with the great cinematographer Darius Khondji (Se7en, Amour), Gray imagines 1920s Manhattan as a dusty, sepia-toned dreamworld, sometimes faintly luminous but often dejectedly burnt-out. The same could be said of the film’s heroes: after a charismatic magician (Jeremy Renner) starts to compete for Ewa’s affections, The Immigrant builds steadily to its devastating climax. A lovingly wrought portrait of Prohibition-era New York, the film is also a morally ambiguous, open-ended reflection on family loyalty, urban disillusionment, and the unpredictable twists and turns of human motivation. The Immigrant, based on the stories and experiences told to the director by his grandparents, is perhaps one of the last of its kind—a personal epic. A Radius-TWC release. Don’t miss our HBO On Cinema with James Gray on October 12!